Visit scenic Ventura Harbor with great accommodations at Harbortown Point Resort. SellMyTimeshareNow.com offers a great selection of timeshare resales and rentals at this great property for up to 70% off developer pricing! What’s My Harbortown Point Marina Resort & Club Timeshare Worth? Vacation along the Ventura Harbor and indulge in a rich California getaway for less when you buy or rent a timeshare at Harbortown Point Marina Resort & Club. This gorgeous resort property features great amenities like lush gardens, outdoor pool, barbecue picnic areas, and a bubbling outdoor spa. You'll also enjoy gourmet dining options for all three meals at the Point Club Cafe or while relaxing by the pool. Local attractions include the Hollywood Sunset Strip, Los Angeles Zoo, Disneyland, Chumash Casino, Santa Barbara Wine Country, and much more. Harbortown Resort offers comfortable and spacious units, many with harbor or ocean views. 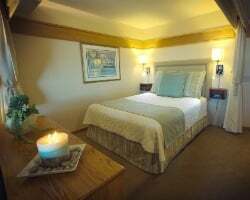 Each room sleeps between four and six guests and decor varies by each suite. 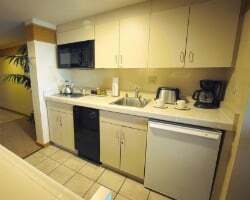 Unit amenities include queen beds, partial kitchens, fireplaces, full luxury bathrooms with tubs, sitting and dining areas, and semi-private balconies or patios. 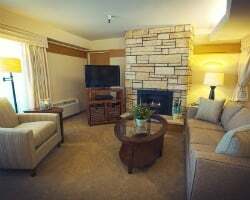 The accommodations offer enough room for families while also providing an inviting space for couples. We can help you find your ideal Harbortown Point Marina Resort & Club timeshare resale or rental right away. Complete the form on the right side of this page or call us at 1-877-815-4227 for further assistance. You can own a luxury timeshare at Harbortown Point Marina Resort & Club for less when you buy on the secondary market. These properties are available in our inventory, advertised by-owner for up to 70% off what the resort charges. This is because they are pricing their units based on their accurate market value, and not adding on the sales commission, taxes, and fees that the resort developers tack on. Additionally, you can browse at your leisure from your own home rather than sitting through a lengthy sales pitch at the resort. Our selection of Harbortown Point timeshare resales features deeded floating weeks with annual usage, many within the High or Prime seasons of ownership. With a floating week, you get the opportunity to reserve a different week each year within your ownership season. This gives you more flexibility to change up your travel dates as needed. Harbortown Point timeshare owners have the opportunity to travel the world through the resort's affiliation with leading external exchange company, RCI. To take advantage of this affiliation, owners can purchase an annual RCI membership to gain access to their vast portfolio of resorts. RCI features a network of exchange propertied at top-name resort with high quality accommodations, services, and amenities to ensure all their members have incredible vacation experiences. Additionally, Harbortown Point is an RCI Gold Crown rated resort, giving owners the highest possible trading power within RCI's network. In addition to RCI, Harbortown Point Marina Resort & Club is also affiliated with another leading external exchange company, Interval International. Similar to RCI, you can choose to purchase an Interval International membership and gain access to their extensive network of affiliated resorts that members can vacation at by depositing their timeshare week with Interval. The company features its own unique network of luxury resort properties with high-end accommodations and amenities. Harbortown Point Resort also has the additional distinction of being an Interval International Premier Resort, allowing owners to enjoy a higher trading power when exchanging. Bask in the beautiful Californian sun with a harborside retreat at Harbortown Point Marina Resort & Club in Ventura. This lavish resort has rich amenities like an outdoor swimming pool by a gorgeous garden oasis, outdoor spa tub, picnic area with barbecue grills, and deluxe dining options. They also offer fun events like wine and cheese socials, happy hours, italian dinners, and more. Just 60 miles away from Los Angeles, this prime destination has so much for you to experience. 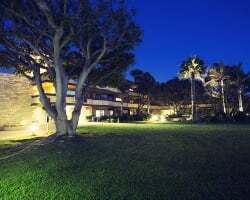 Nearby, enjoy sailing, golfing, surfing, whale watching, and high-end dining. Or you can take a day trip and experience Santa Barbara County Wine Country, Ojai, Disneyland, Pacific Park, Aquarium of the Pacific, Hurricane Harbor, and Natural History Museum. Already Own at Harbortown Point Marina Resort & Club?